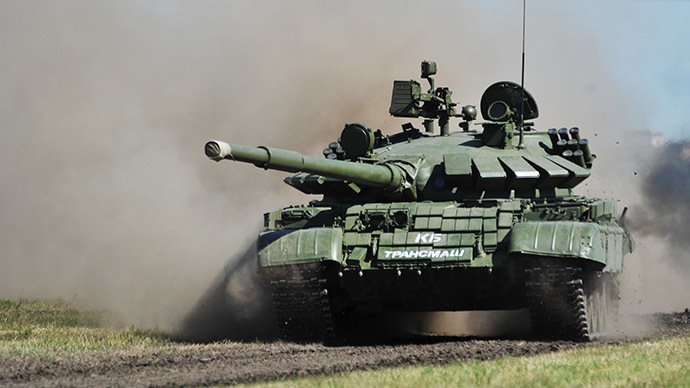 The Russian army is preparing its largest ever expo this June, showcasing around 5,000 pieces of cutting edge military hardware – tanks, warships, planes and space technologies – on a 5,000-hectare display area outside Moscow. Army-2015 is scheduled for June 16-19 at the Patriot culture and leisure park in Kubinka in the Moscow Region, Russia’s Defense Ministry said in a statement. All branches of the Russian armed forces will participate in the event, including strategic missile, aerospace defense, airborne, ground and air forces and the Navy, which will require the organizers to build special and highly technical constructions. The Defense Ministry said that the massive exposition will display small arms and military hardware, drones, robotic systems, biotechnology, laser and radio technologies, military and medical facilities, new types of fuels and much more. Army-2015 will feature not only a static exposition, but also live demonstrations of the capabilities of Russian-made weaponry and hardware. Displays by world famous stunt teams, the Swifts and the Russian Knights and the Golden Eagles aerobatic helicopter team, are expected at the event. The Defense Ministry has invited both international military specialists and civil spectators to the forum, promising visitors a chance to tryout the military hardware, shoot live fire arms and even perform a parachute jump. A military fair will also be working during the expo as the Defense Ministry will organize a sale of decommissioned military trucks and special equipment. 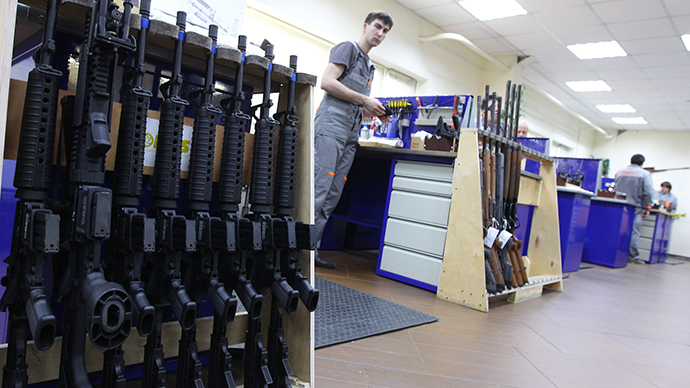 Russia remains the world’s second biggest seller of arms behind the United States, with exports rising 37 percent in 2010-2014. Russian weapons were exported to 56 countries, with India, China and Algeria accounting for almost 60 percent of total sales, the Stockholm International Peace Research Institute (SIPRI) said. In 2013, Russia sold $13 billion worth of weapons, with state arms distributor Rosoboronexport saying it expects arms sales to foreign buyers to remain steady at least until 2016.